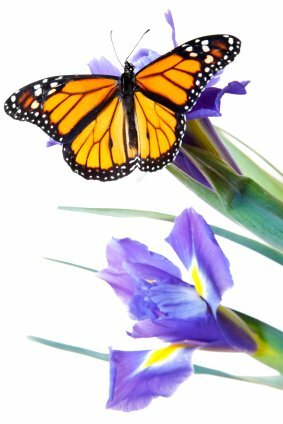 Photographs of you and your loved one on your wedding day surrounding by beautiful butterflies fluttering all around you can be forever remembered by you and your guests as part of your remarkable day! The vast selection and ideas that are available to plan a butterfly wedding are never ending and you can let your imagination run wild with this wonderful and magical theme that is sure to give any wedding day the desired effect of having the 'wow' factor. Just a few suggestions are below but you can, with some thought, add many more of your own ideas and make your own special day truly unique. Boxes folded into butterfly wings and filled with sweets. Butterfly boxer shorts for the groom and best man. Favour boxes decorated with butterflies. Key chains of crystal or feather shaped butterflies. Tiny picture frames with coloured butterflies around the frame. Votive candle holder with butterflies etched into the glass. Cards and table number signs can butterfly shaped. Make your own table plan with butterflies drawn, added or clipped on. Wedding Invitations can be in pastel colours such as pinks, purples and light blues and they can be as plain or as highly decorated from a single butterfly to being embossed all over with butterflies. 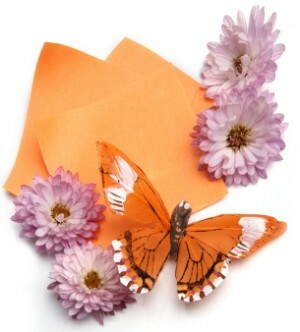 You can have your invitations shaped like a butterfly and when your guest opens it tiny butterflies can fall out. A tiny butterfly can be perched on the wedding party corsage flowers, especially the mothers of the bride and groom. The butterflies can be enhanced with rhinestones or coloured glass beads that match your bridesmaids' dresses. What can look more realistic than a butterfly here and there in among the flowers, it's natural while giving a whimsical and fun touch. You can have your bouquet made up with wildflowers with realistic looking butterflies perched among the flowers, and don't forget to add butterflies to your pew flowers. Your wedding bouquet can be in a butterfly shape or have your chosen flowers with butterflies clipped or pinned to the flowers.